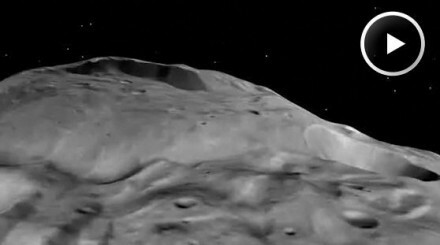 NASA and JPL have just released a video about the close encounconter of space probe DAWN with asteroid Vesta. On the video one can notice that Vesta is not entirely lit up. There is no light in the high northern latitudes because, like Earth, Vesta has seasons. Currently it is northern winter on Vesta, and the northern polar region is in perpetual darkness. When we view Vesta's rotation from above the south pole, half is in darkness simply because half of Vesta is in daylight and half is in the darkness of night . (see video webpage).